Recommended by a naturopathic physician and a pharmacist. Works very well at keeping energy up without feeling jittery. Have been taking it for years and wont be without it. 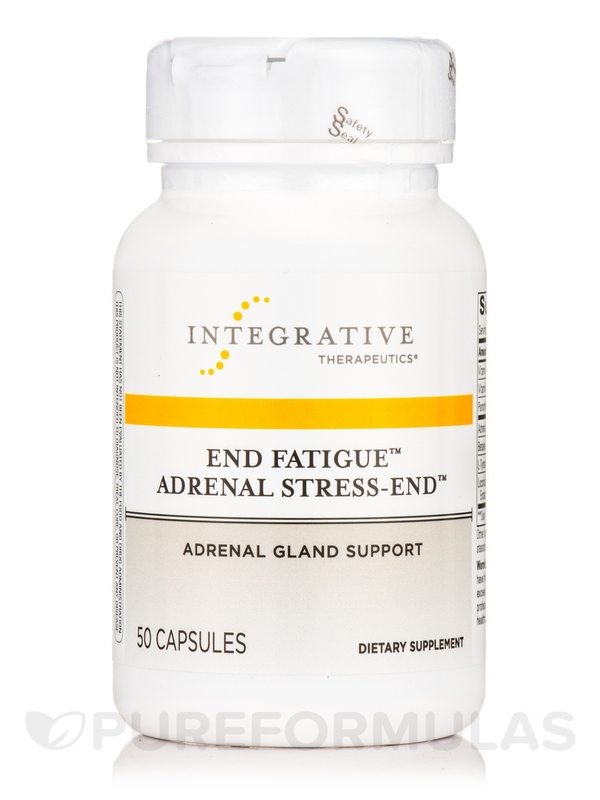 End Fatigue Adrenal Stress-End by Integrative Therapeutics is the only adrenal formula that actually works. I've tried several others and had side affects. I even tried the pricier ones. I'm relieved I found this. Great for my fatigue. Your adrenal glands are responsible for secreting a variety of important hormones into your bloodstream. These hormones‚ including adrenaline‚ play a crucial role in helping you handle both physical and mental stress. In addition‚ they control the level of sodium in your urine; support cardiovascular health; help maintain optimum blood volume levels; and control how your body uses fats‚ proteins‚ and carbohydrates. The hormones secreted by your adrenal glands also help suppress inflammation throughout your body. When left unchecked‚ inflammation can lead to discomfort‚ including joint pain and stiffness. Hormones also play a key role in keeping your immune system strong. Unfortunately‚ life's daily pressures can accumulate to the point where your adrenals don't function properly. The good news is that you can support adrenal function by taking Integrative Therapeutics’ End Fatigue Adrenal Stress-End™. 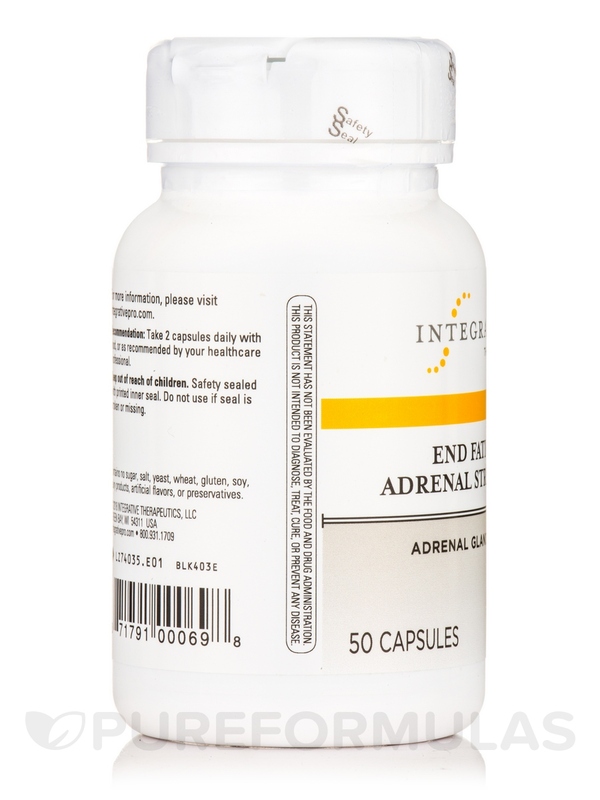 Each bottle of End Fatigue Adrenal Stress-End™ by Integrative Therapeutics contains 50 capsules. At the recommended serving size of two capsules‚ it should last for about 25 days. Standardized to contain 5% glycyrrhizic acid. 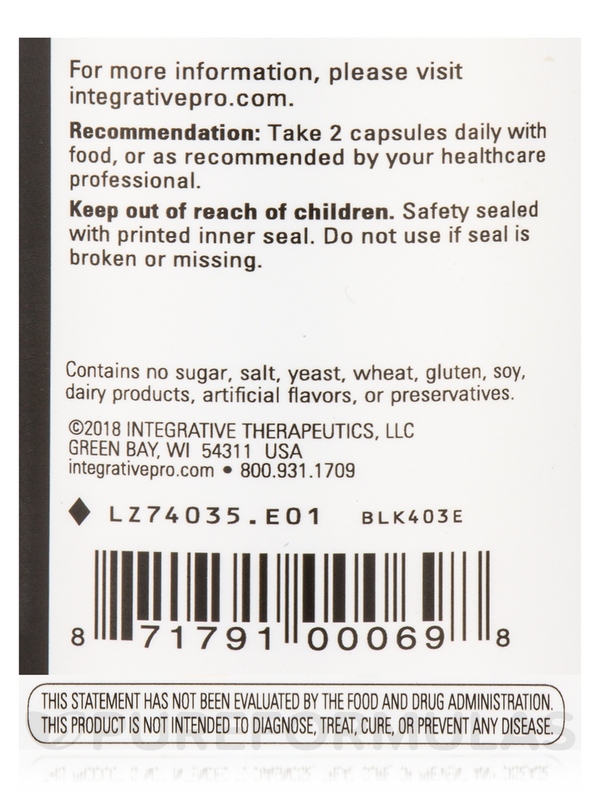 Other Ingredients: Gelatin (capsule)‚ silicon dioxide‚ magnesium stearate‚ titanium dioxide color. Contains no sugar‚ salt‚ yeast‚ wheat‚ gluten‚ soy‚ dairy products‚ artificial flavors‚ or preservatives. 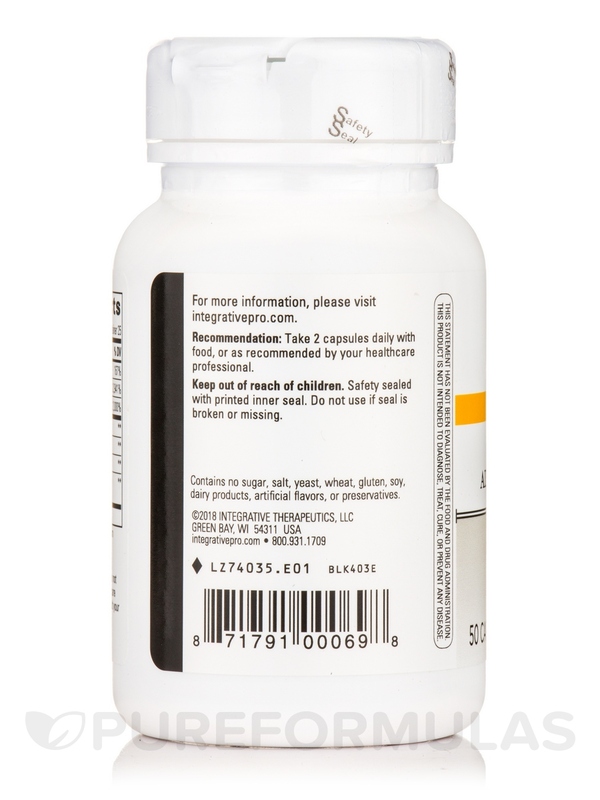 Take 2 capsules daily with food‚ or as recommended by your healthcare professional. 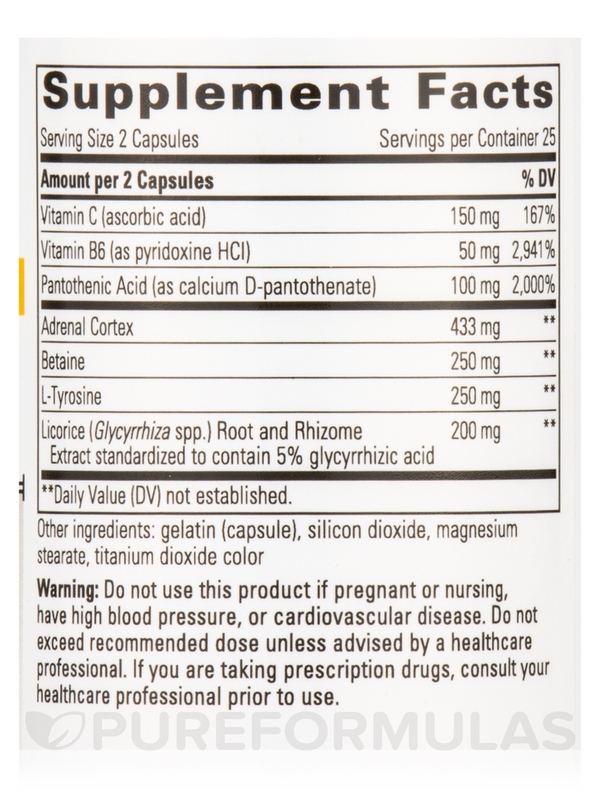 Do not use this product if pregnant or nursing‚ have high blood pressure‚ or cardiovascular disease. Do not exceed recommended dose unless advised by a healthcare professional. If you are taking prescription drugs‚ consult your healthcare professional prior to use. I struggle with fatigue and EBV and End Fatigue Adrenal Stress-End by Integrative Therapeutics helps with my energy and focus. My naturopath is a big fan of this company. My doctor recommended I order End Fatigue Adrenal Stress End by Integrative Therapeutics because I have chronic fatigue. I was taking one pill a day and just ran out and can definitely notice a dip in my energy again. This time around I'm going to try two pills a day and see if there is even more of a positive energy experience. End Fatigue Adrenal Stress-End by Integrative Therapeutics is the only adrenal formula that works for me. All others have side-effects. I have tried several and had horrible experiences within a few short days. This product was recommended by a naturopathic doctor (I guess because they sell it too). 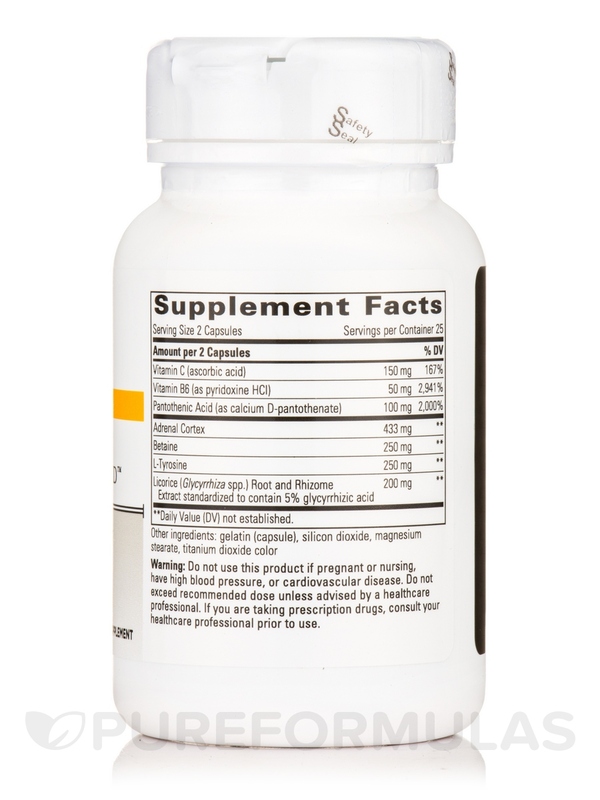 If you have a sensitive system (with supplements), this might work for you. Have used many other Adrenal supplements but End Fatigue Adrenal Stress-End by Integrative Therapeutics is easier to digest. Would like price to come down since I take 2 a day.